It’s been two weeks since the election, but you wouldn’t know it by the daily barrage of stories in the media of Republicans wallowing in their misery and trying to figure out how to fix their broken party. Yes, the Republicans suffered a rather surprising defeat in the presidential election, but the Civil War that has been so heavily mentioned in the media within the party has largely been driven by the media would like nothing better than to see the party fight to the degree that they will be too weak to defend their turf in 2014. Of course it hasn’t helped that several Republican leaders have bought into this notion and have run away from Mitt Romney and the Tea Party faster than you can say “boo,” but instead of banding together and putting up a united front, they have decided to play the blame game to the media’s delight. There is no doubt that Romney should have won the election. But he was hobbled by a brutal primary campaign that gave the Democrats plenty of fodder for the general election. The same could have been said had any of the other Republican candidates won the nomination as well, since the primary was more about beating each other up, than beating the president. Romney was plagued by other problems as well, but when your party brings 2 million fewer voters to the polls than they did for John McCain, the problem is larger than the candidate. And it wasn’t just the presidential race that was a problem. The GOP lacks a credible system for vetting their Senate candidates and making sure they are media ready. For two elections in a row, the Democrats were ready to give the Republicans majority control and twice the GOP ran unprepared candidates in key races and dug themselves a deeper hole. They’ll have another chance in 2014, but they have to do a better job in selecting and preparing candidates were skewered by the media in 2010, and 2012. The media has also been dancing prematurely on the grave of the Tea Party. On the one hand the Tea Party suffered losses in key Senate and House races, but overall they still helped keep the Republicans in control of the House, and the incoming GOP freshmen are more conservative as a whole than those who lost their seats. And the election did bring the party Ted Cruz in Texas who will be star for many years to come. So to all those in the GOP who are whining and moaning about losing two weeks ago, stop it now, and start recruiting for 2014 and beyond and build a ground game. And stop all the talk about how the party has to change. If you can’t stick to your core principles, then get out! The longer you complain the more the liberal media will divide you. 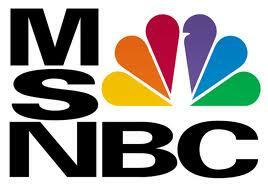 And who needs four more years of the clowns at MSNBC whooping and hollering?